As this month is National Glaucoma Awareness Month, this post is intended to stress the importance of knowing about the threat of glaucoma. Glaucoma is the term for a group of progressive eye diseases that damage the optic nerve, which can cause a loss of vision. If not treated, glaucoma often initially shows up as vision loss in the periphery of the field of vision until it eventually results in total blindness. It is the leading cause of preventable loss of vision and statistics show that over sixty million people worldwide are afflicted with it. One of the leading sources of glaucoma is considered to be increased pressure in the eye. As pressure around the eye is elevated, this damages the optic nerve which transmits signals from the eye to the brain. When this system doesn't function as needed, vision is impaired. Regrettably, optic nerve damage can't be reversed. The most threatening characteristic of glaucoma is that distinct from other causes of vision loss, it is asymptomatic until irreparable damage is done. It is for this reason that glaucoma is known as the "sneak thief of sight." The quandary is how does one prevent a condition which has no obvious symptoms? Early diagnosis of the disease is very important to effective care. While everyone may be at risk for glaucoma, specific groups have a higher risk than others. Major risk factors for glaucoma can include adults over 45 years of age, individuals with a family history of glaucoma, individuals with a predisposition to diabetes, or other eye conditions such as myopia, hyperopia, eye injuries or elevated intraocular pressure. You can learn more about glaucoma if you speak to your eye doctor. There are a number of diagnostic eye evaluations relied on by doctors to measure damage to the ocular nerves caused by glaucoma. Especially if you are over 45 or know that you are at risk, make sure to plan for a routine eye exam on a yearly basis. The truth is that for the most part glaucoma cannot be prevented. Nevertheless the loss of sight caused by damage to the optic nerve may be prevented by early diagnosis and prompt treatment. Don't delay! 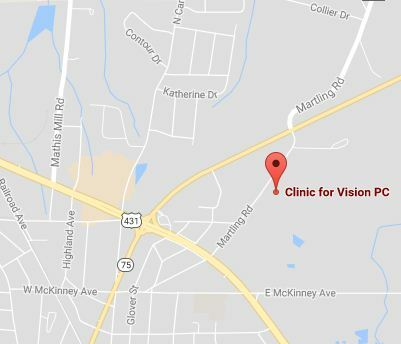 Contact Clinic for Vision PC now, for your annual screening for glaucoma.